HEMPSTEAD, N.Y. — Momentum… it can change in an instant. 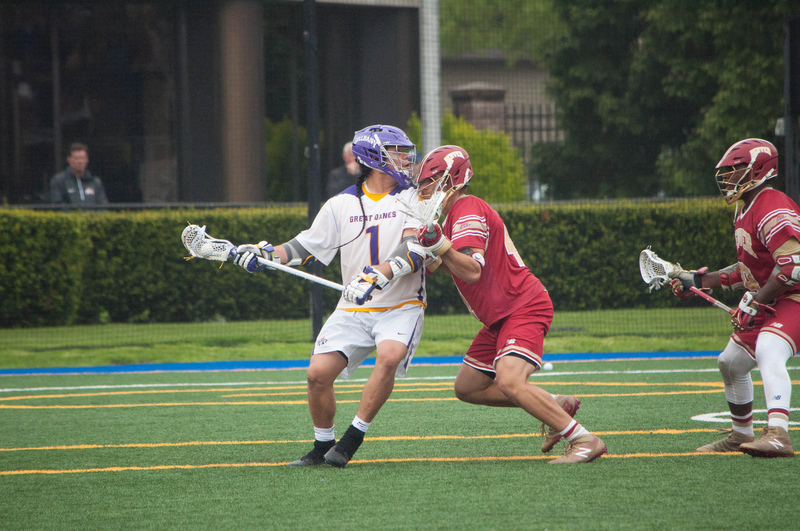 Saturday’s NCAA Division I Men’s Lacrosse quarterfinal between the University of Albany Great Danes & the University of Denver Pioneers was a game of streaks that ultimately resulted in a 15-13 victory for Albany. Albany made their presence heard immediately out of the gate. The Great Danes saw goals from Sean Eccles, Tehoka Nanticoke and Trey Reh just 2:07 into the game to garner a 3-0 lead. Ethan Walker put the Pioneers on the board, but Albany responded. Denver faced a 4-1 deficit with 2:13 remaining in the first stanza, with the Great Danes holding all the momentum. The Pioneers are no stranger to the quarter final stage, with their appearance this past weekend marking their seventh time in eight seasons. Denver used their tournament experience, rattling off four goals at the end of the first and early second quarter to emerge with a 5-4 lead as Ted Sullivan connected with Colton Jackson five and half minutes into the second. Nanticoke would score two of his three goals to close out the half, including one at the horn to give the Great Danes a 7-5 lead heading into the break. In the third, Albany and Denver traded goals to start the quarter. Denver’s Nate Marano knotted the game 9-9 with 3:55 remaining in the third stanza. Kyle McClancy notched his first of three second-half goals to recapture the Albany lead, 10-9, just 11 seconds later. At the X, Denver’s Trevor Baptiste and Albany’s TD Ierlan each lived up to their hype. Coming into the quarter final, Baptiste and Ierlan had the top two faceoff percentages in Division I. Each went 15-30 in the match-up, while Baptiste edged out Ierlan 9-6 on ground balls. Baptiste finishes his senior campaign with an NCAA second-best .744 faceoff winning percentage, while Irelan goes into championship weekend with an NCAA leading .810 winning percentage. Denver scored twice in the final minute of play, but the goals were too little, too late for the Pios, as the Great Danes captured their first appearance in the NCAA Final Four. Albany will battle Yale in the NCAA Division I Men’s Lacrosse semi-final on Saturday May 26th at 12:00pm at Gillette Stadium in Foxborough, Mass.